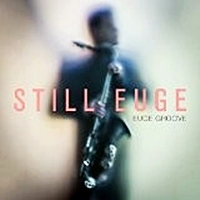 ‘Still Euge’ is the tenth solo album by saxophonist Euge Groove. It is strong Smooth Jazz, enhanced by a full band including an outstanding contribution by bassist Cornelius ‘Corny’ Mims. His playing adds warmth, depth and a little funkiness. The outstanding cut is the warm SJ/Soul gem ‘Much Love’ that features Rahsaan Patterson on vocals. Oleta Adams adds a typically fulsome vocal to ‘Flower’. There are a couple of dreamy numbers the opener ‘Twelfth Night’ and the gorgeous ‘Another Perfect Moment’ featuring Peter White. ‘Let’s Chill’ is another strong number with a mid-tempo groove. In truth, the album is amongst his finest.